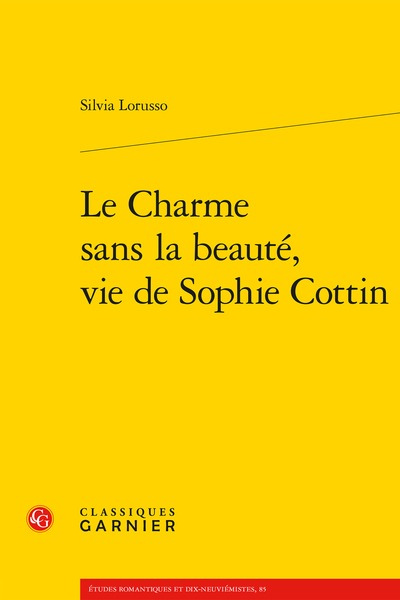 Abstract: Sophie Cottin wrote the bestsellers of her time. Despite her dazzling success, several aspects of her life remain unclear. With a debt primarily owed to her correspondences, for the most part unpublished until now, this biography recounts the complex personality of a woman writer in a troubled period of French history.